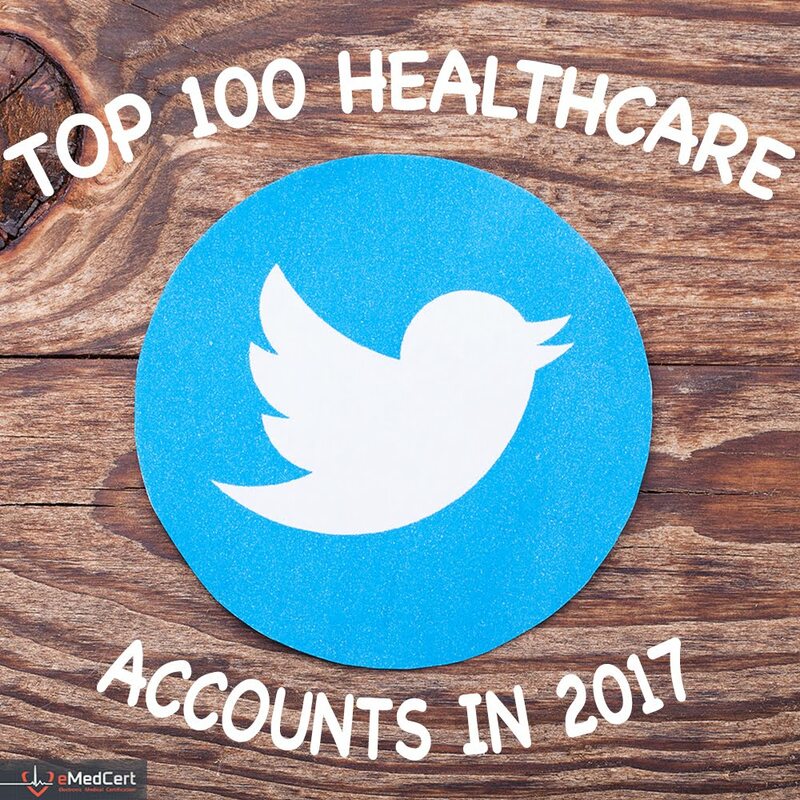 The #HealthITChicks tweetchat always produces some good insight into a wide variety of healthcare information technology and related topics. Yesterday's chat hosted by Dr. Geeta Nayyar (@gnayyar) was no exception. For those who may not have participated - and for those who did participate and would like a recap - I have culled out select tweets and arranged them by topic. @gnayyar - Welcome to the chat! Let’s take a few minutes to introduce ourselves. @gnayyar - I’m Dr. Geeta Nayyar, Chief Healthcare and Innovation Officer, @TopLineMD, and Huff Post Blogger. T1: What New Apps Are On Your Radar? @gnayyar - “Uber for healthcare” seems to be all the rage. What new apps are on your radar? @btrfly12 - I've been working with @intakeme - product launch coming this fall. @ehrandhit - What will it take for doctors to be excited about Uber style healthcare apps? Could it fill in cancelled appointments? @ebacon - I’m a rare Uber naysayer. How on earth can we guarantee safety & quality in *healthcare* from a peer/sharing economy perspective? @healthcora - @techguy Drop-off for #wearables and #patientengagement feels high to me; are we using the right psychology? @gnayyar - How do you engage beyond apps and patient portals? @ebacon - The only meaningful “engagement” is to ignite intrinsic motivators. D. Pink says that’s autonomy - mastery - meaning. @emaginekrystal - T1: THe IDdx app looks interesting. It helps diagnose difficult infectious diseases in patients. @cdntcs_atlanta - @gnayyar But many people don't always know what choices they're deciding between. Tools to promote transparency are needed too. @jmcelio - . @healthcora @gnayyar - @startweaving is a great app for professional matchmaking - it led me to my new job! @jenndennard - @jslentzclifton Yep, the name of the husband/wife-led text-based app for mental health issues escapes me. Big room for potential! T2: How do you see different generations (millennials, seniors, etc.) embracing digital health? Is #UX an issue? @gnayyar - Next topic, shall we? How do you see different generations(millennials, seniors, etc.) 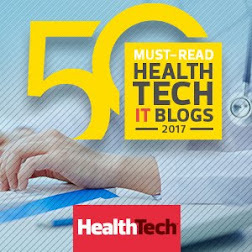 embracing digital health? Is #UX an issue? @greg_meyer93 - T2: Absolutely. I still hate Instagram vs Facebook. UX still kills me. Call me gramps. #HITChicks. @sarahbennight - T2: My dad is a senior with a chronic degenerative disease. He won't embrance tech at all. He just shows up for doc appts. @emaginekrystal - T2: My father is pretty well! He is eager to learn the "latest and greatest" w/ technology. But some have a hard time. @pattyldickerson - A2: Convenience for millennials seems to coincide with accessibility... don't need to see doctor face to face. @erinewold - T2:Younger gen by far embrace digital health. But I think the lack of education all around has done disservice 2 digital health. @emaginekrystal - T2 Cont: I like to help seniors learn new Digital Health apps. Some like to learn them! 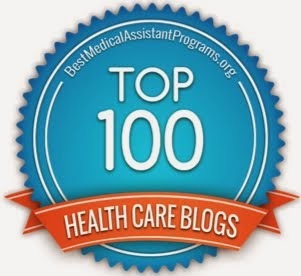 @mightycasey - A2: Desire for relationship w/clinical team comes w/need. IOW, if you're healthy, convenience trumps relationship. @lesliebrownatl - T2: As a millennial, I like the idea of having healthcare right when I need it, wherever I am. Drs being connected is ideal! @mightycasey - A2: All it takes is one cancer, or epic-chronic, dx and you're ALL ABOUT relationship w/clinical partners, no matter your age. @nxtstop1 - T2 When developers simply "divining" apps w/out intimately knowing the probs/pain points 2B addressed=recipe for 30 day wonder! @mightycasey - A2: bottom line, most peeps think healthcare happens "over there" to "sick people," not to them. Another mind-shift. T3: What have you taken away from the #ilooklikeanengineer / #ilooklikeasurgeon / #ilooklikeaurologist movements? @gnayyar - Ready for Topic 3? What have you taken away from the #ilooklikeanengineer / #ilooklikeasurgeon #ilooklikeaurologist movements? @pattyldickerson - A3: I think these campaigns #Ilooklikeanengineer / #Ilooklikeasurgeion / etc.. are showing that we are making progress. @jslentzclifton - T3 Seeing representation of folks like you make it seem more possible to achieve. Digging the msg! @emaginekrystal - T3: Fighting stereotypes in STEM fields is interesting #ilooklikeanengineer. The others I'll admit I have to do more research on. @mightycasey - A3: One could be forgiven for motion sickness induced by "no women!" "too many women!" headlines re tech industry, IMO. @gnayyar - Are you tapping other women in healthcare as mentors? Men? Who do you rely on? @ebacon - T3: Like @drstclaire, I’m pretty depressed that we’re still having this conversation about different yet equal…. @emaginekrystal - T3 Cont: It is sparking great concern for Tech diversity! @mightycasey - A3: I know PLENTY of women coders, developers, engineers, working their a$es off in many industries. Too busy to tub-thump. @nxtstop1 - T3 The #ILookLikeASurgeon was supported by so many male surgeons> both in positions "above" & " below" in "hierarchy~affirming! @jslentzclifton - Been supported by men & women fortunately, but resonates more when another woman props you (me) up for some reason. Shares exp? @pattyldickerson - I've had to find mentors outside my roles/ organizations. Haven't worked at to many places with structured mentorship programs. @mightycasey - A3: I pioneered in engineer role in a male-dominated industry (net TV) in early '80s. Show up, stay fierce. That's the ticket. @drstclaire - T3: The definition of a leader may need to change. Pounding the table & speaking loudly isn't always leadership. @mightycasey - In re leadership, follow "keep showing up" rule. We may not get in on the 1st try, or even the 20th. Be un-ignorable, present. T4: How have you seen social media tools evolve alongside digital health? Any favorites? @gnayyar - Time for topic 4 already: How have you seen social media tools evolve alongside digital health? Any favorites? @pattyldickerson - A4: I like mapmyrun, fitbit, and garmin connect that use social media to connect with your friends/co-workers on fitness goals. 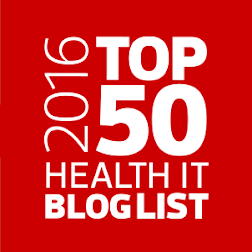 @pattytsheridan - Q4 Social media in digital health doesn't seem 2 include interoperability. Many great apps but not seeing them all work together. @btrfly12 - T4 There are a ton of Facebook patient communities as well. @pattytsheridan - Q4. I have lost interest in many of the apps first to market. What is the next great app for health management? 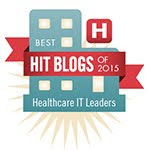 @pattytsheridan - @VirtualDBGal Are EHR vendors even thinking beyond acute care and physician offices? @mightycasey - @jslentzclifton @nxtstop1 @ckraemerPR @gnayyar Inconvenient truth: most industry-side data holders are SELLING deIDed pt data. T5: It’s no secret women make majority of family HC decisions. How have you acted as a decision-maker lately? @gnayyar - Topic 5: It’s no secret women make majority of family HC decisions. How have you acted as a decision-maker lately? @pattyldickerson - A5: Yes, especially for me and husband. Have also become "influencer" for parents healthcare decisions. @katmcdavitt - I make all medical decisions for my family of four. It's a little scary sometimes! @janicemccallum - T5: Been working w my mom to write down her #EOL wishes for her MOLST form. Not easy, esp given the way options are listed. @ehrandhit - @Pattytsheridan @drstclaire I believe the next big mobile health innovation will be about packaging of other's innovations. There’ a Few in Every Crowd! 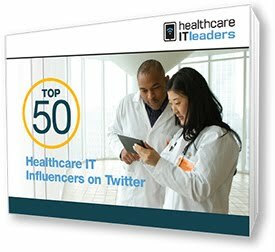 @jenndennard - I can't even keep up with the #HITchicks chat - @gnayyar is doing fab job + so many smart #healthIT peeps chiming in! @jenndennard - @MMaxwellStroud @LynnThinksBig @MightyCasey So ... any company out there want to sponsor the #HIMSS16 #HITchicks shirts? @lynnthinksbig - @MMaxwellStroud @JennDennard @MightyCasey Really digging this t-shirt idea! Must have! We should do it! @daniellebyron - Thanks everyone - my head is swimming a bit from all the fast & furious conversation. @jenndennard - Thanks @gnayyar for a great #HITchicks chat today!